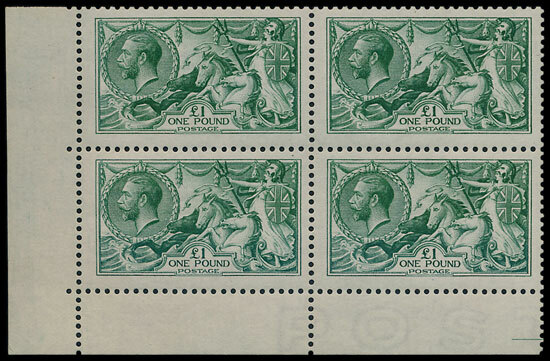 A superb collection of GB was offered in the November Stamp Auction. 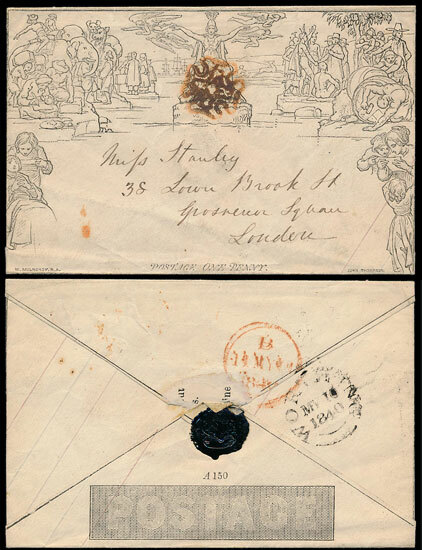 An 1840 Mulready envelope addressed to London and used on May the 10th (first Sunday date) sold for £3,420. 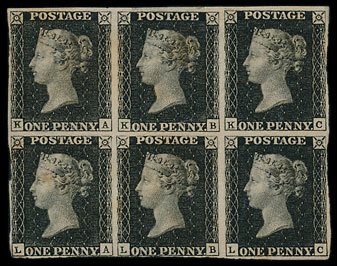 A spectacular 1840 1d black plate 5 in mint block of 6 exceeded the estimate of £10,000, selling for £15,900. An 1840 1d black plate 11 with marginal inscription, thought possibly unique as such, sold for £4,480 & a 2d pale blue plate 1 sold for £5,900. A 1d black VR official with Holcombe certificate sold for over 4 times the estimate at £10,620. A superb 1867-83 £5 Anchor watermark, with ‘CANCELLED’ overprint, sold for £2,600. A very attractive King Edward VII £1 with top margin sold for £1,530. A 1913 Waterlow Seahorse £1 corner marginal block of 4 sold for £7,670. 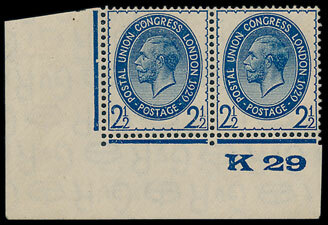 Thought to be one of only 6 known, a 1919 PUC pair with corner margin and control number sold for £3,540.